Safflower Seeds Attract More Birds… But Squirrels Find Them Bitter! Birds love it… squirrels don’t. That’s because our special blend is packed with all-natural premium white safflower seeds that birds love and squirrels find bitter-tasting. Premium White Safflower seeds are rich in fats and proteins that provide essential energy and maximum nutritional value for backyard birds. Premium White Safflower seeds are irresistible to almost any bird. 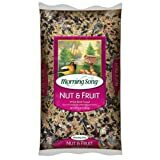 Cardinals, Jays, Nuthatches, Chickadees, Grosbeaks, Titmice, Woodpeckers and other birds simply love these seeds. 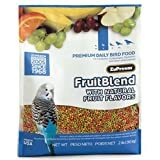 Our triple-cleaning process removes the dust and debris before packaging, so you’ll offer a clean and healthy food source to your feathered friends.